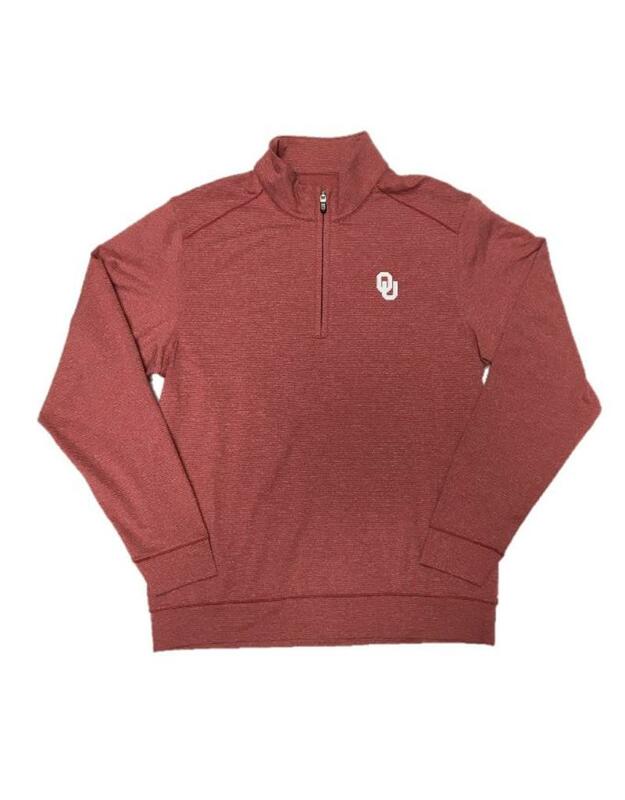 Show off your Sooner pride while staying warm in the Oklahoma Sooners Cutter & Buck DryTec Shoreline 1/2 Zip Top.This comfortable and breathable crimson top features CB DryTec material. This moisture-wicking fabric is perfect for your dynamic lifestyle whether you're on the course or just having a night out with the boys. The left chest features an embroidered interlocking OU logo so your crimson and cream fandom will always be on full display. You'll be ready for whatever game day brings in the OU Cutter & Buck DryTec Shoreline 1/2 Zip Top!